How does one talk about love? Is it even possible to describe something at once utterly mundane and wholly transcendent, that has the power to consume our lives completely, while making us feel part of something infinitely larger than ourselves? 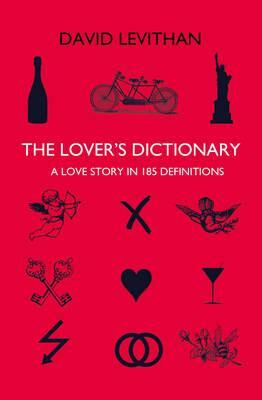 Taking a unique approach to this age-old problem, the nameless narrator of David Levithan's "The Lover's Dictionary c"onstructs the story of a relationship as a dictionary. Through these sharp entries, he provides an intimate window into the great events and quotidian trifles of coupledom, giving us an indelible and deeply moving portrait of love in our time. David Levithan is the author of many acclaimed young-adult novels, including the "New York Times "bestselling "Nick & Norah's Infinite Playlist "(with Rachel Cohn), which was adapted into a popular movie. He is also an editorial director at Scholastic.